DearMYRTLE's Genealogy Blog: HistoryGeo: 7.2 million original land owners, with links to Google maps, BLM, etc. Oh yeah! HistoryGeo: 7.2 million original land owners, with links to Google maps, BLM, etc. Oh yeah! NOTE from DearMYRTLE: The following came to Ol' Myrt here just before Thanksgiving, but I'm just catching up on her email. Our friends at Arphax have some pretty cool maps you may wish to explore if you have US roots. "First off - HAPPY THANKSGIVING from the folks at Arphax Publishing and HistoryGeo.com ! May you have a blessed time with family, friends, or both. And may your travels (if any) be safe and your return home be free of incident. Secondly, we are pleased to announce a hysteria-free way you can enjoy Black Friday or Cyber-Monday savings, from the comfort of your armchair. In fact, the following offer is available from now until next Friday, December 6th. Details are just below, but first, we need to make sure that you are aware of . . .
Third, our brand-new First Landowners Project, which delivers three-times more data than the original HistoryGeo.com (and 3 times more data than all our books combined), and includes a new user-experience that is getting rave reviews from our subscribers. VIEW THIS WHITE PAPER (PDF, which contains a state and county list of what's been mapped). So, now for the combined Thanksgiving / Black-Friday / CyberMonday special! From NOW until next Friday, December 6th, you can pick up a subscription for the lowest annual cost ever. Just by receiving this email, you are automatically eligible to receive an otherwise UNADVERTISED special rate of only $49 for a full year. For a little over $4 per month, you will have 24-hour-a day access to this service that a leading genealogist and columnist just described as "Heaven for Genealogists" ( read the review here ). The fact is that you have not fully explored the opportunities for discovery of the places we've mapped, if you've not used the First Landowners Project at HistoryGeo.com. It's as simple as that. Most of the landowners we've mapped have never before been mapped and made available to the researching public. All you have to do to enjoy these savings is go to HistoryGeo.com and subscribe (see note below if you have a "Demo" account"), choosing either a 12 or 6 month billing plan(sorry, no discounts offered on the $20 quarterly billing plan). Twelve-month plans will be discounted by us at the time of credit-card billing from $59/year to $49/year for the first year. Six-month plans will be discounted from $34 to only $29/per 6-month period for the first year. Note: if you are already a "demo" account-holder, just log into your account at www.historygeo.com and then UPGRADE in order to become a paying subscriber. If you have no such account, simply click the "Subscribe" link. The CHECK-OUT PROCESS WILL NOT ALERT YOU TO THE SAVINGS, BUT WE WILL APPLY THEM WHEN WE ACTUALLY BILL YOUR CREDIT-CARD. YOU'LL RECEIVE A CONFIRMING EMAIL FROM US AT THE TIME THIS OCCURS (within one business day). ----- It's as simple as that !!! SO, WHAT ABOUT A BOOK SPECIAL? For those of you interested in picking up a book or two this holiday season, we didn't forget you! Any Arphax.com purchase between now and December 6th will be shipped for FREE in the Continental U.S. when you choose "Media Mail" as your shipping method. This will not be reflected in the on-line checkout process, but rather at the time we actually charge your credit-card. The invoice that you will receive with your purchase will also reflect the final discounted charge and free shipping. Simple as that! One last thing. Greg Boyd, our founder, is about to embark on a journey where he will start displaying his own research methods and discoveries using HistoryGeo.com. It's going to be both informative and entertaining and will be presented on our Facebook page . Greg's a bit of a fanatic when it comes to exploring both the extraordnary roots of ordinary people and the ordinary roots of extraordinary people. 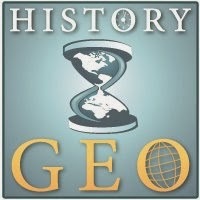 We hope you'll join Greg by liking HistoryGeo.com on Facebook. offer a huge THANK-YOU for your support of our work!